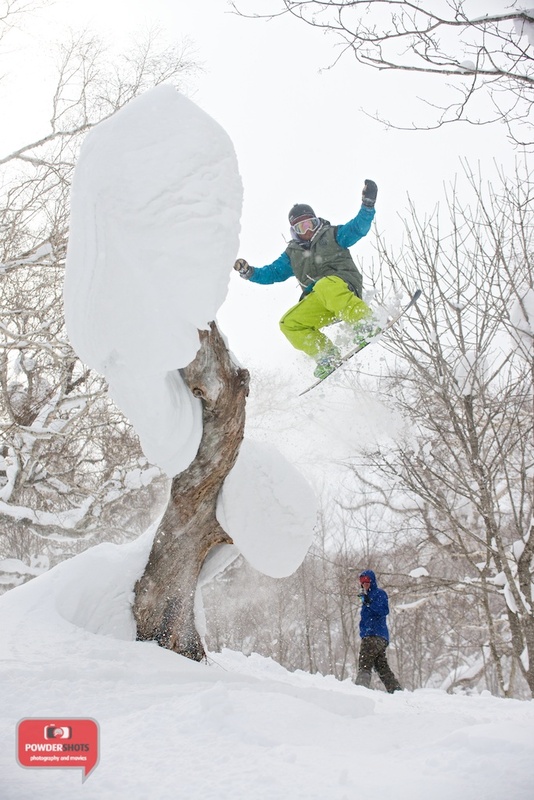 Many powder hounds have heard the tales of Rusutsu, usually told by frothing Niseko veterans. The tales of steep and deep powder, and other worldly tree runs all help to give this resort the cult status that it deserves. The other thing that Rusutsu has going for it is anonymity, which we aren’t helping by telling even more people about it. Rusutsu gets far less tourists than Niseko, especially foreign tourists chasing hidden powder, so while popular spots in Niseko might become tracked out by lunch time, great lines can still be found here even a day or two after fresh snowfall, making it perfect for days without fresh snowfall. Interestingly, even though it’s only a 45-minute drive from Niseko, the weather patterns can be completely different – it can be snowing heavy in Niseko but clear skies and no fresh snow in Rusutsu (or vice-versa). 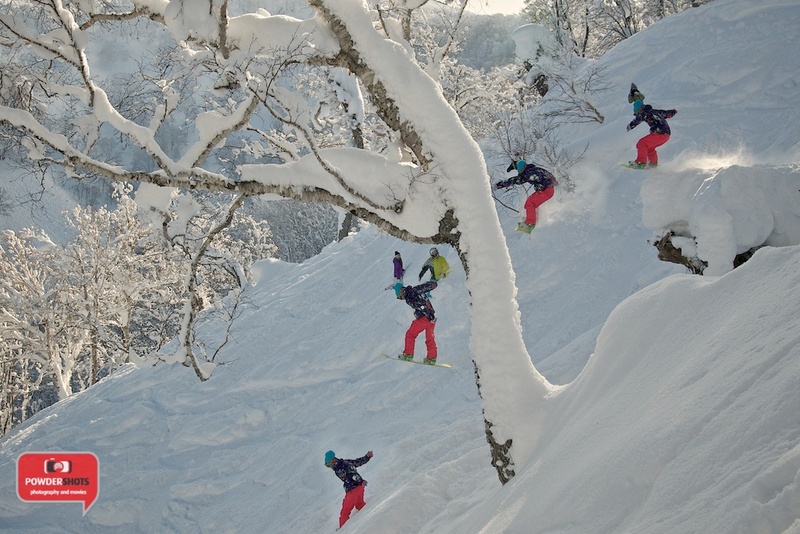 Rusutsu even opened a somewhat bonkers natural terrain park called Side Country Park. They have formed natural features from bent ‘rainbow’ trees, and huge drops from fallen trees, all in a natural (powder) setting. Bravery required. One of the reasons that fewer tourists visit is due to the perceived difficulty of getting there. 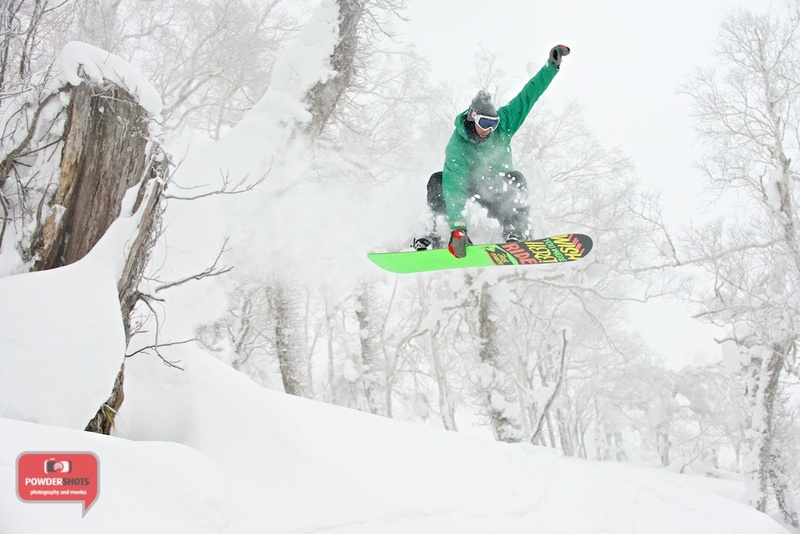 There are several options, from hiring a car, using a private taxi, catching the shuttle bus or even joining a guided tour, like with Niseko Xtreme, Black Diamond Tours or Shinsetsu Mountain Guides. Explore Niseko, the information centre in the glass cage beside Seicomart, has loads of information about getting there. The resort is split into two quite separate sections on opposite sides of the highway (though, connected via a gondola). The West side, while being connected to the large and exciting Mt. Shiribetsu and the hotels, it is much smaller in height and area. 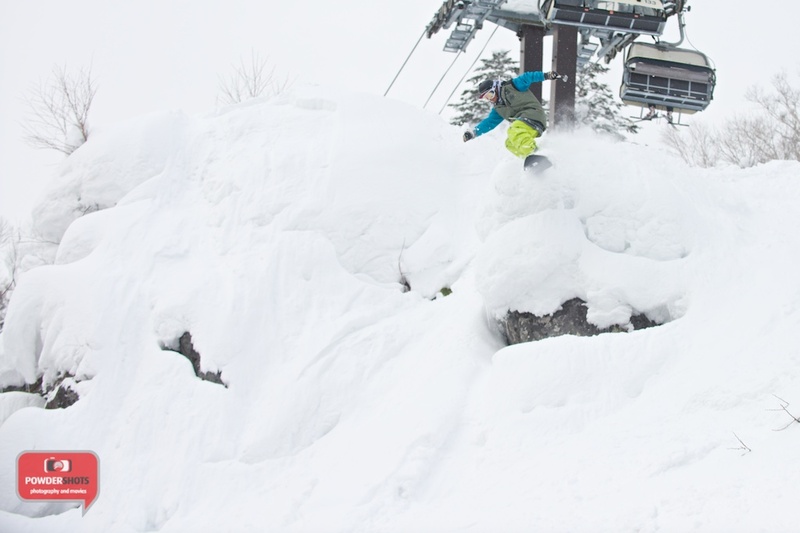 The East side has many more runs, and is where the majority of powder hounds will spend their time. Rusutsu is much smaller than Niseko, so even though you’re able to catch a single chair to the top, it’s only 600m of vertical. One great asset at Rusutsu is that many of the chairlifts (and gondolas) run from the bottom all the way to the top, so no linking multiple chairs to get up the mountain. The lifts are also more sheltered from the wind, and therefore less likely to be shut, even when Niseko is grinding to a halt. However, the best part of Rusutsu, and what really gets the powder hounds frothing is the fantastic off piste glades. The area is immense, with massive pockets of powder waiting to be exploited, especially when you have a guide getting you to all the best spots. Don’t believe a word of this. Rusustu is icy, crowded with Aussies, very expensive, and has no steep areas at all. You can’t go outside the boundary ropes. 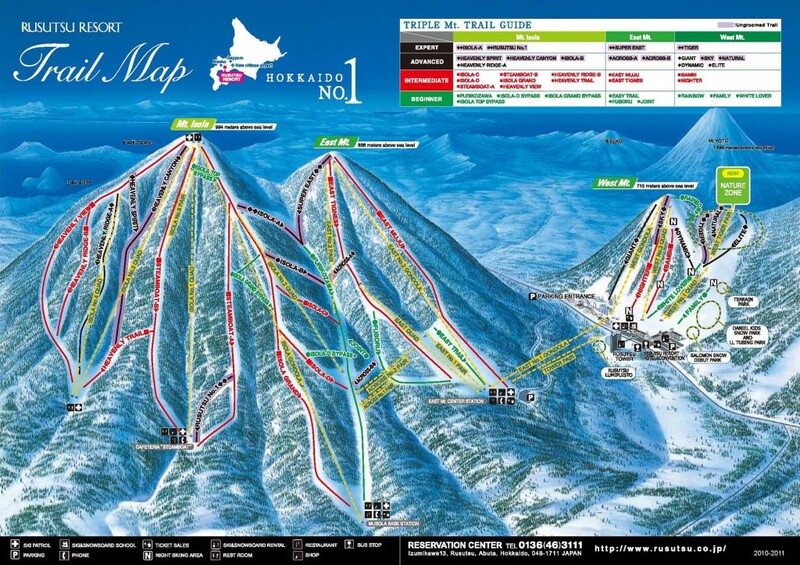 Niseko has so many more options with ready access to back the back country, lots more food options and easier access. It’s surprising to hear someone say that (and mean it), sorry you had a bad time there. Though, it is true that Niseko is more set up for tourism (hence the additional tourists compared to Rusutsu). I agree with Bruce, Rusutsu should be avoided at all costs: not only is it as Bruce describes but it is also much more expensive than Niseko. My advise: stay in Niseko.